Its that time of year – everyone is organizing receipts and information for tax preparation. If you bought a home this year, refinanced your home or made energy improvements to your home, don’t overlook these important deductions. MORTGAGE INTEREST – the interest paid on your mortgage is probably your biggest allowable deduction. POINTS – If you purchased a home in 2016 and paid points to get a better interest rate, that expense is tax deductible. Points on refinance loans and home equity loans are also deductible but must be spread over the life of the loan instead of all in one year’s return. ENERGY CREDITS – If you made any improvements that improve the energy efficiency of your home you may qualify for a tax credit. Those items could include insulation, windows, doors and roofs. A tax credit is better than a deduction because its a dollar-for-dollar savings instead of simply saving you whatever tax you paid based on your income bracket. There are limits on energy credits depending on what you purchased, so be sure to check with a tax professional. PROPERTY TAXES – Property taxes paid on your primary residence are deductible. You may complain about your real estate taxes, but at tax time they work in your favor and can save a lot on your tax return. Check with your tax professional to be sure you’ve taken advantage of all the possible tax savings on your 2016 taxes and going forward, keep receipts and information for this year organized to make next year’s tax preparation job easier. 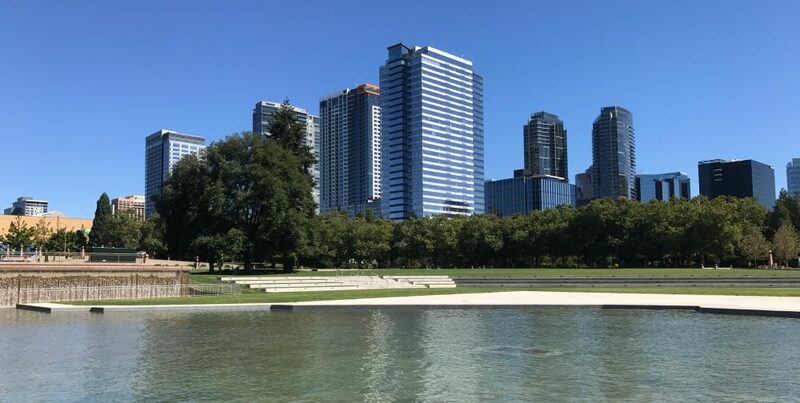 Did you know the City of Bellevue/Bellevue Television produces a monthly video, Lake to Lake, featuring news, projects, activities and events in and around Bellevue. Current and past videos are posted on YouTube – definitely worth watching to find out what’s happening, or what’s about to happen, in your city. Open the links below to take a look at this year’s videos. Like most people, I spend more time indoors and watch more TV in the winter. I enjoy the HGTV home remodeling shows (Beachfront Bargains is one of my favorites). There’s always something to learn about new design trends and construction and real estate around the country. Unfortunately, the shows don’t tell you everything about the mistakes, cost overruns and amount of time and money required to complete a project. First, there’s the myth about the time it takes to find a home and complete a remodel project. In a 60 minute show buyers look at 3 houses, find the home of their dreams, and then complete a full remodel in 6-8 weeks. Seriously, it could take that long to hire a contractor and get permits. With few exceptions, remodeling takes longer than anticipated, costs more than expected and there are always surprises. The idea of completing a high end kitchen for $20,000 is unrealistic, and I love it when homeowners are shocked that it is going to be a problem (and expensive) when the HVAC and main waste lines run through the wall they plan to remove. When clients ask about remodeling I tell them to start with their eyes wide open and remind them “this isn’t HGTV”. Be realistic, plan for a project to take longer than expected, be prepared for surprises and have contingency funds available for the unexpected. So why do I watch these shows? Chip and JoJo have a great sense of humor, they’re entertaining and they really know their stuff. I love to see whether homeowners will “love it or list it” and the Property Brothers, also entertaining, are generally right on with remodel costs (even though they work wonders in just 6 weeks). And who knows – I may find the beachfront bargain of my dreams. If there’s a remodel in your future give me a call. Over the years I’ve gathered resources for vendors and contractors who can help with minor update to major remodel projects. If your remodeling a condo, before you start you’ll need to know about working within the guidelines of the HOA and community rules and regulations.